Mountain School Where You Live (MSWYL) is an event where alumni, family, and friends are encouraged gather to appreciate some aspect of their common place. Past events have included walks and hikes, potluck meals, literary tours, art tours, farm work, visits to historic landmarks, camping, and community service. ​Alumni take the reigns on choosing and organizing their events, while Mountain School staff helps with outreach and advertising. Mountain School Where You Live is an event in early May where alumni, family, and friends are encouraged gather to appreciate some aspect of their common place, whether by exploring the outdoors, sharing food, visiting a museum, or doing a service project—you name it. 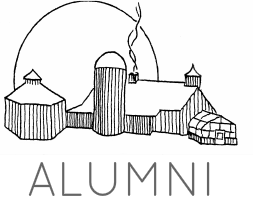 Alumni volunteer to host/organize a simple, casual event in their area, and the Alumni Coordinator helps with logistics, marketing, and registrations. Past events have included hikes (from substantial climbs to strolls on nature trails), potluck meals, literary tours, art tours, farm work, visits to historic landmarks, camping, and community service.